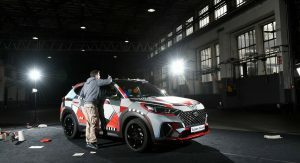 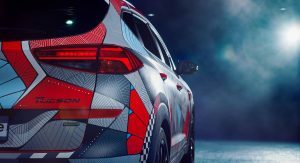 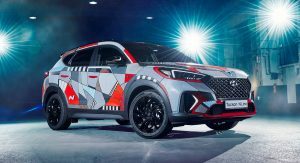 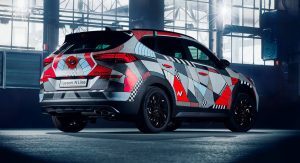 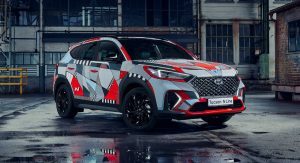 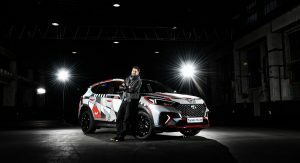 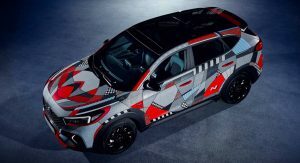 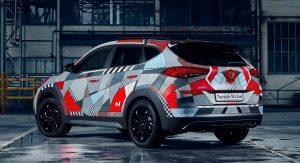 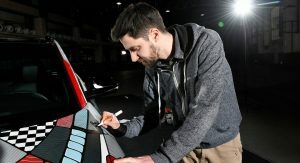 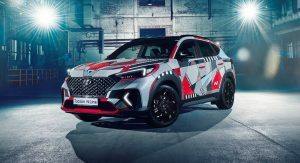 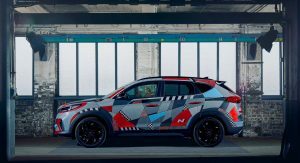 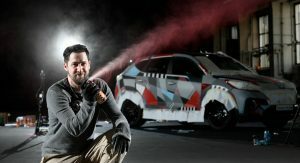 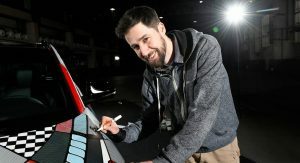 With the Hyundai Tucson N Line marking the debut of the brand’s new sporty trim level on an SUV, the automaker looks to celebrate that with a unique art car. It’s called the “Drive a Statement” Project Tucson and it was made by German artist Andreas Preis, who used a Tucson N Line as a canvas for unique artwork. 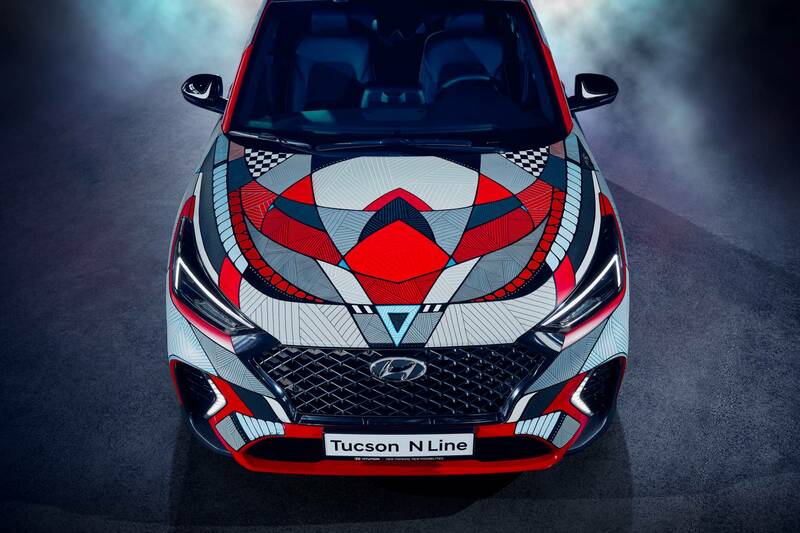 Specializing in illustration, murals, and live paintings, Preis likes to draw and paint abstract shapes and ornaments on a range of different mediums including paper, canvas, walls, and wood. 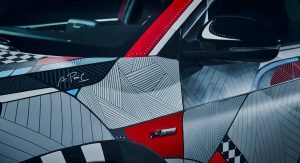 The design draws inspiration from motorsports as it features references to corners, chicanes, curbs and checkered flags. 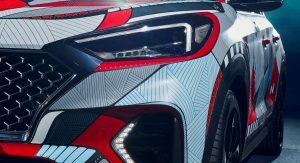 It also pays tribute to the livery of the Hyundai i20 Coupe WRC and i30 N TCR models. 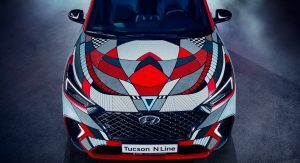 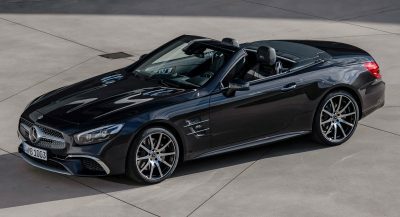 The visual elements and lines combine to create a dynamic, fast look — particularly on the sides of the car. 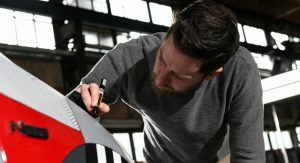 Starting from a Tucson N Line painted Engine Red, the artist added colors from the N Line palette including black, white, red, and light blue. 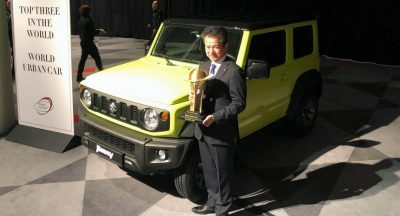 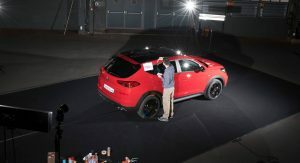 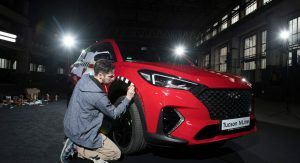 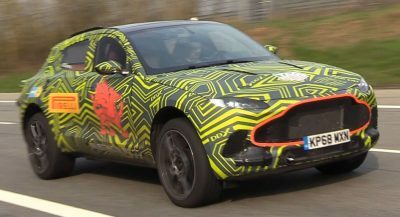 The artist’s design highlights key areas of the new SUV, including the more aggressive front end, which features a new grille design, refreshed DRLs, and smoked headlights. 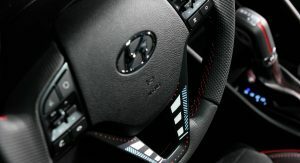 The livery also draws attention to the Tucson N Line’s gloss black accents on the mirror caps and rear spoiler, as well as the dark alloys and N Line badge. 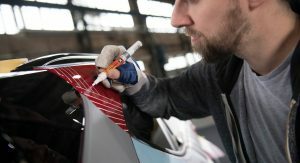 Preis spent 72 hours to paint the car by hand but that doesn’t include the time he needed to design the livery. 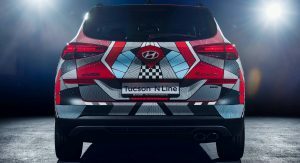 The unique Tucson N Line will soon be displayed at events around Europe.